Since Nasa’s mission to Mars got under way on August 6, the Curiously Rover has beamed some astonishing images back to Earth that have left scientists and amateur star-gazers alike scratching their heads and envisioning UFOs. 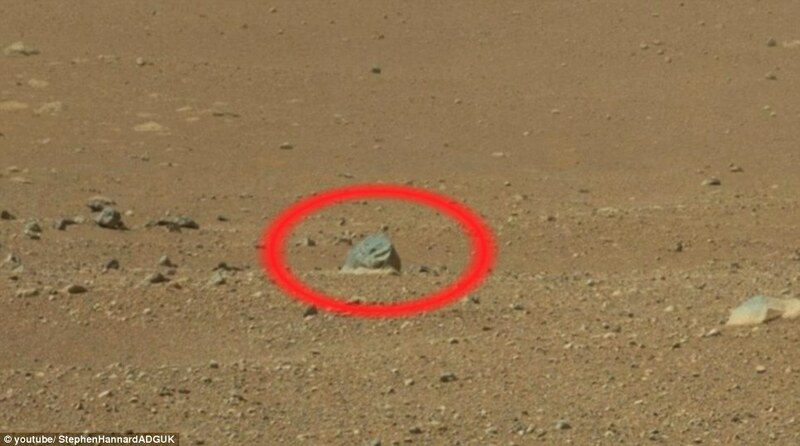 But even seasoned alien watchers were puzzled when the rover making its way through the Red Planet send back the image of what appeared to be a fossilized human finger. YouTube user StephenHannardADGUK, part of a group called Alien Disclosure UK, who had caused a stir on the Internet last week after pointing out white ‘flying objects’ zooming across the Martian sky called attention to a collection of ‘mysterious’ items he spotted in a video from Gale Crater. The image shows what appears to be a rock shaped like a digit with a faint outline at one end that vaguely resembles a fingernail. 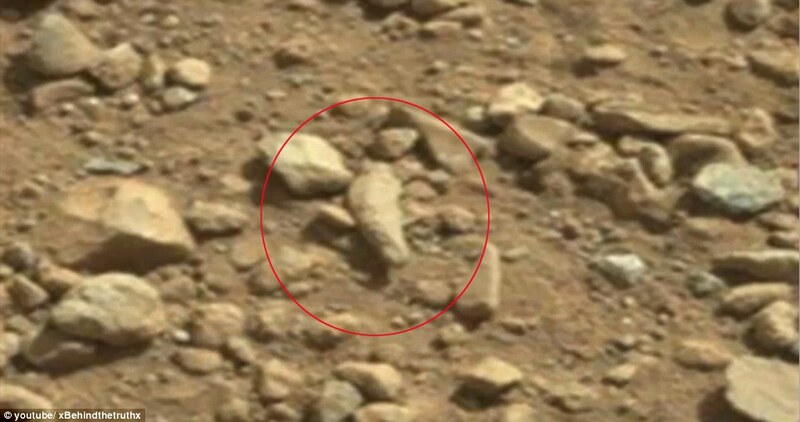 Another rock found nearby resembles an overturned sandal, and a crevice on another geological formation looks like a smiling Martian critter, NBC reported. 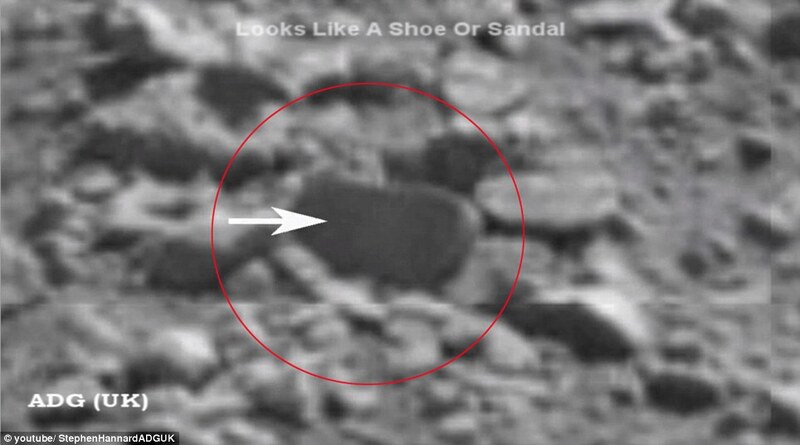 Nasa, however, has so far made no ground-breaking announcements regarding the discovery of life forms – or Martian footwear, for that matter – on the Red Planet, leaving UFO enthusiasts guessing and wondering. On August 18, Hannard posted footage in which he applied a series of filters to a Curiosity, revealing what he claimed to be four objects resembling flying saucers hovering in the sky. Experts, however, came out saying that the four ‘objects’ are actually just dead pixels in the rover’s CCD camera — single points in the camera’s imager that have lost functionality and register as white.